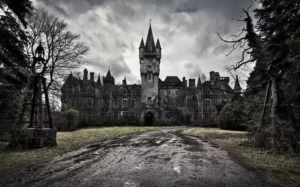 Haunted Places In England: Do you believe in ghosts? Do you believe that there is life after death? Do you believe that the paranormal is not a farce? Are you curious about ghouls, poltergeists and all other forms of the dead? Then perhaps its time you visit all those places in England which will quench your thirst for the paranormal. Statistics say that more than half the world’s adults believe in ghosts. Though no one has been able to back up reported sightings with substantial proof, there are places in England which are considered haunted by a large section of the populace? Each location has a legend of its own and reported sightings of ghosts around these places are high. Considered by many the most haunted house in England, Borley Rectory has a unique legend behind it. Borley was built on the site of an old Nunnery. Rumor has it that one of the nuns tried to elope with the monks of a neighboring monastery. They were both tracked down and the monk was executed and the nun was bricked up alive in the cellar of the building. Since then the ghost of the nun walks the grounds of the house endlessly. The crumbled remnants of Minsden Chapel is said to home the unsettled spirit of Reginald Hine. Hine for his immense love of the then-crumbling chapel had leased it from the chapel and legend has it that he swore to protect it from trespassers in life and thereafter and so his spirit remains. The A3. Burpham, Nr. Guildford, Surrey. On 11th December 2002, several motorists contacted Surrey police claiming that a horrendous accident had resulted in a car veering off the A3 with its headlights blazing. Police rushed to the location only to find no semblance of an accident. On further investigation, they found a car with a decayed body some 20 yards away from the reported crash site. Forensics and logistics revealed that the crash had indeed taken place a good 6 months ago for the body were decayed as such. So did the witnesses see a ghostly re-enactment? If you want more then there is The Ostrich Inn., Colnbrook, Berkshire. : The George and Dragon Hotel, West Wycombe, Buckinghamshire; are some very interesting places. So what are you waiting for? Surely a chilling experience awaits.